The Supreme Court on 13th July 2015, rejected a PIL application to open a branch of the apex court in Chennai. Although it said that the PIL indicated progressive thought, it said that it was not inclined to go into the matter in its judicial side, for setting up of the bench. The PIL petition, namely AM Krishna vs Union of India & Ors, claimed that an additional bench of the apex court should be set up in south, west and north-eastern parts of the country. The Supreme Court of India, located in New Delhi, is at a considerable distance from the south and north-eastern parts of India. Due to this, poor clients face difficulty in affording the increasing transportation and lodging expenses, for themselves and their lawyers. In addition to the above, there has been a number of applications in the past asking for an additional bench of the apex court to be set up. The metropolitan cities of Mumbai, Chennai and Kolkata were considered ideal locations for the bench. Moreover, the Karnataka Government in 2014, had recommended to the Chief Justice of India, Justice H.L.Dattu, that an additional bench be set up in Bengaluru, but with no success. Numerous Law Commission Reports have recognised this problem, and recommended that additional benches of the apex court be set up, namely the 2nd, 6th, 15th, 20th, 26th, 29th and the 95th Report. Reports of the Commission, have given similar, yet pressing reasons for an additional bench. One of the arguments in the Reports is that, additional benches will help increase the efforts to resolve the growing number of pending cases. In cases where the High Court has passed an incorrect order, the poor clients, in order to correct this injustice will be able to afford filing an appeal in the additional bench. Article 130 of the Constitution of India, 1949, states that the Supreme Court of India, shall be located in Delhi or in such other place. However, the Chief Justice of India, only with the approval of the President has the power to decide where the benches may be set up. The apex court stated in the present case, that it did not have the power to issue a mandamus to the government for the establishment of the bench. The full bench of the apex court recently, did not favour an additional bench, stating that it would affect the unitary character of the country. There have been mixed responses in the apex court in the past on the issue. Justice K.G.Balakrishnan, in 2010, suggested an alternate remedy than the setting up of an additional bench. By referring to the US model, said that we should create another tier in our judiciary, between the High Court and the Supreme Court. Furthermore, the additional benches would dilute the integrity of the institution and lead to an unhealthy sense of hierarchy between the judges who serve on the different benches. He further said that, Article 130 is meant only for extraordinary circumstances. The National Court of Appeal, is a proposal to set up regional benches of the Supreme Court in major cities to hear appeals from the High Court. 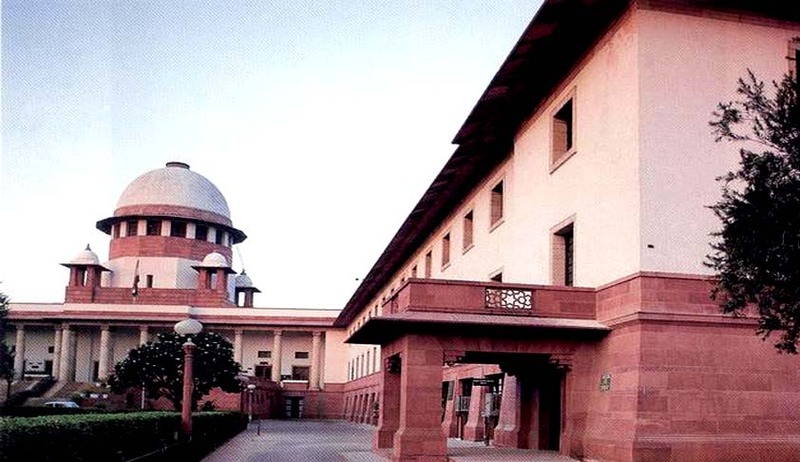 The Apex court in the case of Bihar Legal Support Services vs. The Chief Justice of India, 1986, has favoured the setting up of this institution. It further added that the Apex Court at New Delhi, should only be concerned with limited cases involving substantial questions of law, where, there is a requirement to address any grave miscarriage of justice. The Supreme Court had asked the Government to decide on the setting up of the National Court of Appeal. On 2nd January 2005, the Government rejected the demand. The All India Bar Association had also demanded for the setting up of the additional bench, but with no success. The apex court has also stated in the case of Union of India & Anr. Vs S.P.Anand, 1998, that the setting up of additional benches empowered under Article 130, is not a right which can be granted by the High Court under Article 226. It held that, the High Court cannot direct the Supreme Court for opening an additional benches. It also analysed the Constitutional Assembly Debates, where there is no creation of any mandatory obligation on the Chief Justice of India, and the President, to open such additional benches. The benefit of an additional bench, is the improved access to file appeals in the apex court which will help poor clients. At present, there is concentration of the bar at the apex court, opening up additional benches will help in spreading the outstandingmembers of the bar across the country. It has been recorded that the distance from the apex court has a direct relation to the number of appeals filed from a particular High Court. There have been reports, that the maximum number of cases are received from North India, where 12% of the cases are from Delhi, 8.9 % from Punjab and Haryana, 7% from Uttarkhand, 4.3% from Himachal Pradesh, 2.5% from Kerala, 2.8% from Andhra Pradesh and 1.1% from Madras High Court. Such reports may not be accurate, and are not subject to any verification. It is also observed that poor clients do not file appeals due to the considerable distance to the apex court, as well as the excessive time and money spent in travelling and lodging, for the numerous stages of the case. In addition, every citizen should have access to justice as part of their human rights, as envisioned under Article 39 (A) of the Constitution of India. There is thus a mixed response from the judiciary, government, and the people, regarding the setting up of an additional bench. It is important to protect the integrity of the apex court, but one should also not ignore the difficulties faced by the poor. A decision on the issue must be taken at the appropriate period, balancing both the contentions. Vaibhav is a 3rd year Law Student at Jindal Global Law School.